The longest government shutdown in U.S. history entered its 32nd day on Jan. 22 with Senate Majority Leader Mitch McConnell expected to call up legislation to advance a proposal from President Donald Trump, which Democrats have already said they’ll reject. Lawmakers are returning to Washington after a holiday weekend that started off with signs of incremental progress, but concluded with little accomplished. If the stalemate continues all week, many of the 800,000 federal workers going without pay will miss a second paycheck since funding ran out for about a quarter of the government, including the Department of Transportation, just before Christmas. Public transit agencies that depend on federal grants have had to cut back services and are beginning to delay important repair and maintenance projects, according to the American Public Transportation Association. And on Jan. 22, an association representing about 13,000 FBI special agents plans to release a report showing how the shutdown is undermining work on criminal and national security cases. 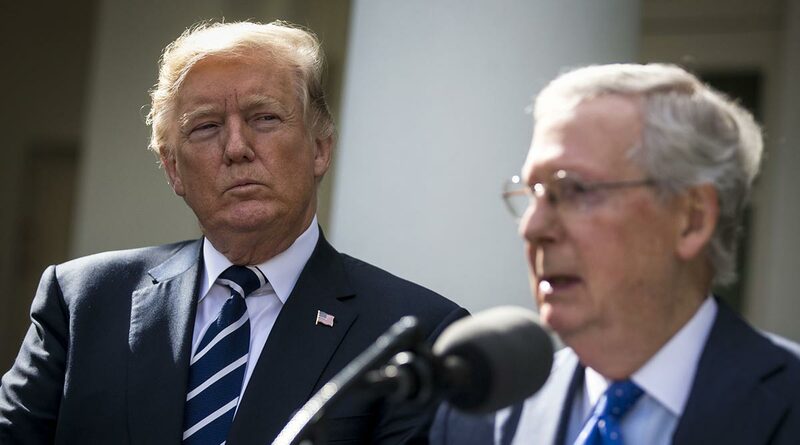 McConnell plans votes to advance the president’s latest proposal in the Senate as early as Nov. 22, but the measure will need Democratic support to get the 60 votes needed to go forward. “We would love to have a permanent fix” for people eligible for Deferred Action for Childhood Arrivals as well as immigrants with Temporary Protected Status “just as he wants a permanent wall,” said Rep. Jim Clyburn of South Carolina, the No. 3 House Democrat. But reopen the government first, Clyburn insisted.